Since there aren’t too many of either, I’ve decided to put the N’s and O’s together. EDITH NESBIT. She was born in 1858 in London, and throughout her life wrote over forty books for children. Her most famous is probably The Railway Children, which was made into a memorable film in 1970, but her other books, which combined realistic, contemporary children in real-world settings with magical objects, included Five Children and It and its two sequels, The Phoenix and the Carpet and The Story of the Amulet, inspired many other later writers, such as CS Lewis and JK Rowling. 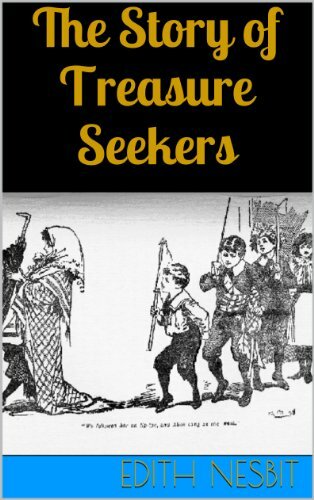 Most of her books, as well as The Story of the Treasure-Seekers and The Wouldbegoods, concerned children from impoverished middle-class families who sought to improve their fortunes. She died in 1924. JENNY NIMMO is a British author of children’s books, including many fantasy and adventure novels, chapter books and picture books. She was born in England but has lived mostly in Wales for forty years. She is probably best known for two series of fantasy novels: The Snow Spider trilogy (also known as The Magician Trilogy) which are contemporary stories rooted in Welsh myth, and Children of the Red King, featuring Charlie Bone and other schoolchildren with magical powers. 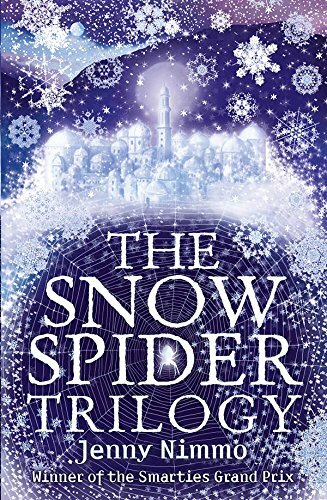 The Snow Spider won the second annual Nestlé Smarties Book Prize and the 1987 Tir na n-Og Award as the year's best originally English-language book with an "authentic Welsh background". The Stone Mouse was highly commended for the 1993 Carnegie Medal and several others of her books have been well received or shortlisted for children's book awards. MARY NORTON was born in London in 1903, and is the author of The Borrowers. This is a children's fantasy novel published in 1952, about a family of tiny people who live secretly in the walls and floors of an English house and "borrow" from the big people in order to survive. It won the 1952 Carnegie medal. Four sequels followed, as well as other books including novels The Magic Bed Knob; or, How to Become a Witch in Ten Easy Lessons and Bonfires and Broomsticks. 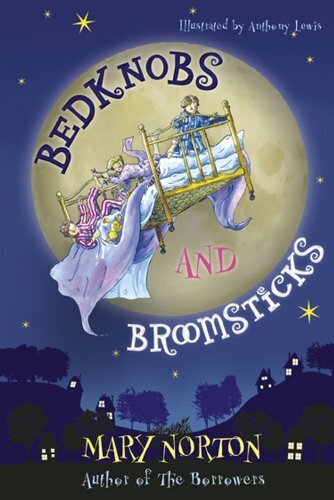 These two books were later combined and called Bedknob and Broomstick, and were adapted into the 1971 Disney film Bedknobs and Broomsticks. She died in Bideford, Devon, in 1992. 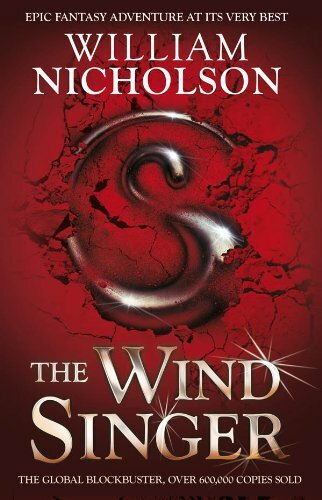 WILLIAM NICHOLSON is a contemporary writer whose book The Wind Singer, the first book of his popular Wind on Fire trilogy, won the Blue Peter best book award and the Smarties Gold Award for best children's book. Since then he has written several other novels and fantasy books for Young Adults as well as adults, as well as screenplays for many big films and television plays. BEVERLEY NAIDOO is a South African author of children’s books who lives in the UK. Her first three novels featured life in South Africa where she lived until her twenties. The Other Side of Truth, published by Puffin in 2000, is a story about how political corruption affects the lives of the children of an outspoken writer, and it won the Carnegie Medal for the best children's book by a British subject. 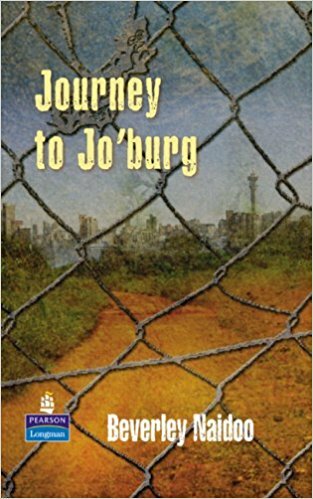 She also won the Josette Frank Award twice: in 1986 for Journey to Jo'burg and in 1997 for No Turning Back: A Novel of South Africa. IONA and PETER OPIE, whose work collecting children’s games and stories resulted in two immensely important works: and The Oxford Dictionary of Nursery Rhymes (1951) and The Lore and Language of Schoolchildren (1959). 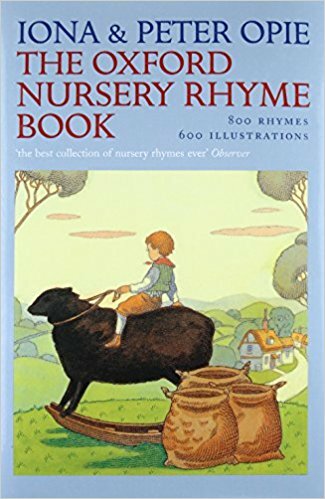 Between them they wrote about 25 books, including The Puffin Book of Nursery Rhymes, as well as collecting a vast number of children’s books and ephemera covering the 16th to the 20th century. By the time their collection was donated to the Bodleian Library in 1988 it amounted to 20,000 pieces. Peter died in 1982, but Iona continued her research, and The Opie Collection of Children's Games and Songs is an archive of audiotapes donated to the British Library in 1998 containing fieldwork recordings of children's play made by Iona Opie between 1969 and 1983, as research for The Singing Game. Iona was elected a Fellow of the British Academy (FBA) in 1998 and was made a Commander of the British Empire (CBE) in 1999. She died in 2017. JAN ORMEROD was born and brought up in Australia and studied Art at college. She then married a children’s librarian, and they finally settled in England. However, it was only after her first child was born and she realised how much her daughter enjoyed the children’s books her father brought home that she considered illustrating her own books. 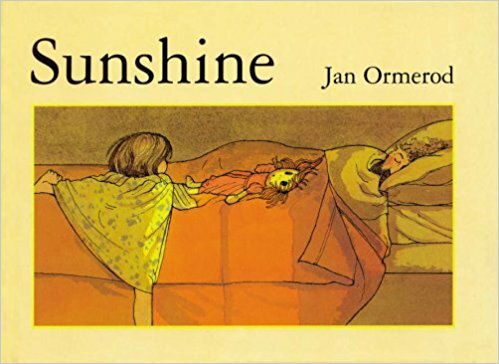 Her first book, Sunshine, published in 1981, was a wordless picture book about a little girl waking up and getting ready for a day at school. It won the 1982 Mother Goose Award for "the most exciting newcomer to British children's book illustration", and was also voted Australian Picture Book of the Year. Following that success she wrote and illustrated many other books, mainly for young or very young children. She died in 2013. HELEN OXENBURY is an illustrator and writer of children’s picture books, including Tickle Tickle. She is a two-time winner and four-time runner up for the annual Kate Greenaway Medal for illustration, and for the 50th anniversary of that Medal (1955–2005) her 1999 illustrated edition of Alice’s Adventures in Wonderland was named one of the top ten winning works. She also won three Nestlé Smarties Book Prizes (1985-2007) all in the 0-5 years category, including her illustrations for Michael Rosen’s “We’re going on a Bear Hunt”. She lives with her husband, John Burningham, a fellow-writer/illustrator, in London. 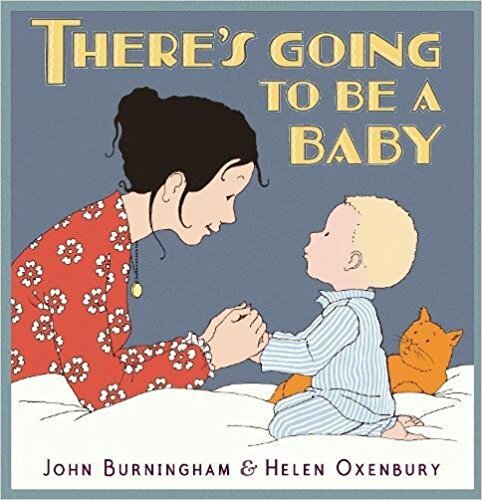 In 2011 the pair collaborated on There's Going to Be a Baby (Walker Books), which was written by John and illustrated by Helen for "ages 2+". 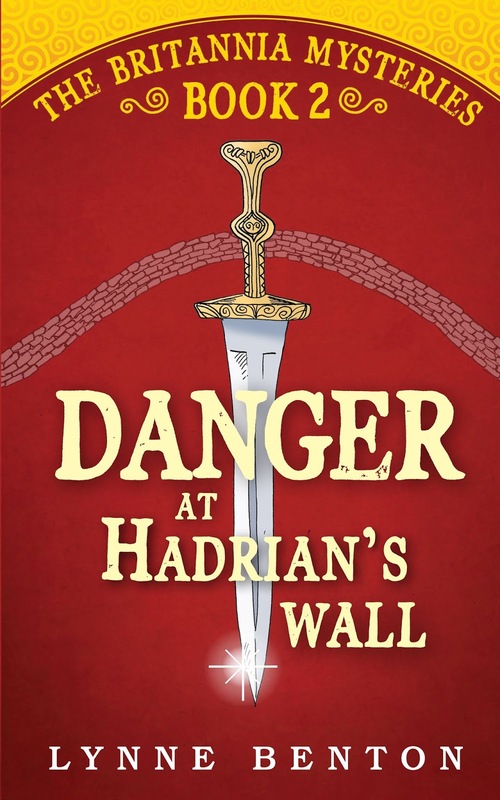 Next month I'll be remembering children's authors whose surnames begin with P.
Another fine collection - and that must be your own Roman adventure at the foot of the post? Congratulations, Lynne. I very much enjoyed the first!